Haven’t you heard? The industrial look is in. Let the Alana collection revamp your home. In black nickel, this drinks trolley's in-style. There's a shelf at the top for mixing and pouring, and one at the bottom for storing bottles. Alana's on wheels too, for easy service. Throwing a party? Hosting dinner? 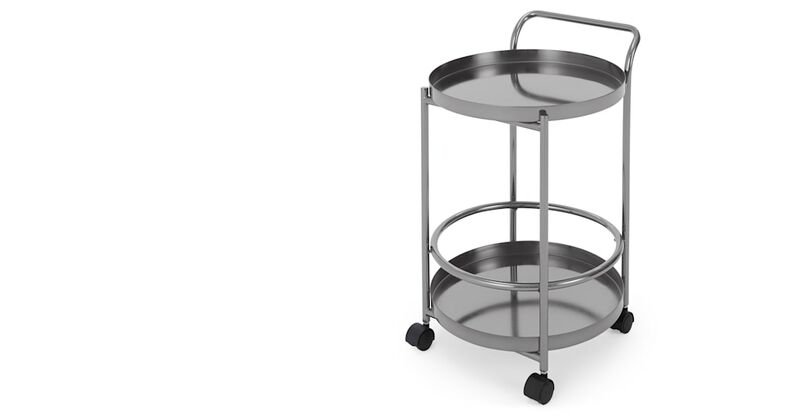 A drinks trolley makes hosting effortless, and effortlessly cool.